I would highly recommend you to others with ongoing issues to experience the amazing after effects of your hypnotherapy. Thank you Jackie for your amazing work of hypnotherapy with me before going on our holiday of a lifetime to New Zealand. My phobia and fears of so many things i.e heights, water, reptiles to name but a few were overcome by your calming input. Also the confidence building you did with me before bowling in the national finals. I could not have done without your help. 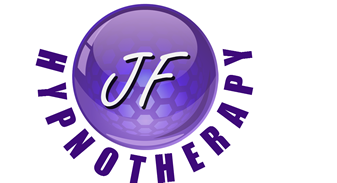 I would recommend hypnotherapy with Jackie to anyone with any problem. She’s amazing. After suffering from chronic pain for several years, I went to see Jackie. The difference was amazing as she took away my constant nagging pain. She also gave me advice on how to deal with any further pains that might occur. I would highly recommend going to see Jackie if you have any ongoing pain issues. I had a phobia of wasps for as long as I can remember which seemed to be getting more intense with each year that passed. It actually got so bad that, wherever possible, I would avoid being outdoors at all in warmer weather. After having my son 2 years ago, the phobia became more apparent as it started to affect the things I longed to do with him. Simple things like a nice walk with the pram would terrify me. I finally decided enough was enough and that is when I contacted Jackie. Although I had no idea what to expect, I went along with an open mind and was willing to try anything! Jackie is such a nice woman and instantly made me feel at ease in her company. She was extremely patient and understanding. After our session, I can hand on heart say I felt like a massive weight had been lifted. Already I am noticing a significant change in my life. The real proof of the results was when I was recently at a garden party where a wasp decided to buzz around my head for a while. In the past, I’d have felt panicky, breathless and would need to go straight indoors. I’m amazed to say I stayed right where I was, never moved and went on to enjoy the party without worrying. No more freaking! Have managed to pick up a live spider with a tissue and drop down a toilet! No overwhelming panic, very calm! Also watched a feature about spiders on TV, would never have been able to do this. You’ve worked wonders. Thank you so much for chasing out my demons!! Both my husband and I had some sessions with Jackie; my husband for back pain and me for knee pain. My husband has had severe back pain for over 20 years and after the meeting with Jackie, this is the best his back has felt for many years. I have had knee pain since January this year, and it’s totally amazing to be more or less pain free after my session with her. Jackie will make you feel relaxed and at ease and, best of all, free of pain – so, go on, give it a try. You won’t regret it!! After suffering upper back pain for the best part of 18 years carrying twin girls it felt like I was carrying a sack of potatoes around.. 4 years ago this pain became unbearable to the point even after X-rays MRI scans, lots of different medications from gabapentine, 30/500 co codamol, tramadol plus slow release 60mg dihydrocodeine. 3 weeks ago the doctors recommended morphine which I refused because YES I do still want to be able to work!! I was a bit sceptical about the OLD PAIN to go which my sister Sarah Simpson recommended as I have had weekly deep muscle massages for years.. however when you suffer on a daily basis you will try absolutely anything . I must say I didn’t walk away thinking a miracle had happened but over the period of just 1 week I have absolutely NO tight band across my back at all, NO pain whatsoever and it’s that good I’m up at this time in the morning doing all my housework before I even go to my own work .. I don’t want to put anyone off their breakfast reading this but you may have got bored with my chat already but for what it’s worth I have also suffered a very lazy bowel since abusing laxatives through my teenage years ( once a month ) was regular for me but now I’m on the toilet every day like clockwork like a normal person. never been so happy to have met Jackie.. she has been a godsend.